Jurors in the trial of a man accused of manslaughter after his girlfriend took drugs at a music festival have retired to consider their verdicts. 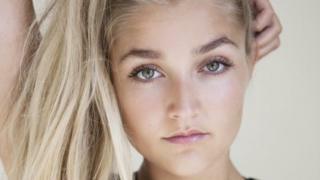 Louella Fletcher-Michie, 24, the daughter of Holby City actor John Michie, was found dead in woodland near the Bestival site in Dorset in 2017. Ceon Broughton is accused of doing little to help his girlfriend as he feared breaching a suspended jail term. The 30-year-old denies manslaughter and supplying the Class A drug 2CP. The trial has heard the pair went into woodland to take drugs, although Mr Broughton denied he had taken anything, on the eve of Ms Fletcher-Michie's 25th birthday. She was found dead by a steward 400m from the festival's hospital tent on 11 September 2017. The court has heard the pair liked to film each other while on drugs and jurors were shown footage from the day in question. Mr Broughton filmed his girlfriend as she became "disturbed, agitated, and then seriously ill" and continued recording after her apparent death, it was heard. Summing up, Judge Julian Goose QC referred back to medical evidence given by experts. He referred to Prof Charles Deakin, who told jurors he could not "beyond reasonable doubt" confirm whether medical intervention would have saved Ms Fletcher-Michie's life but on the "balance of probability" it was likely "while she was still breathing". It has already been heard there has been no previous deaths from 2CP. Mr Broughton, of Island Centre Way, Enfield, London, has already pleaded guilty to supplying 2CP to Ms Fletcher-Michie and her friend at Glastonbury Festival in 2017. Tuesday, 5 March 2019: Reference to the amount of 2CP Ms Fletcher-Michie had taken has been removed from this article after comments from court were clarified.